Helping New Jersey Recover. Restore. Rebuild. Are you a New Jersey resident, business owner or local government official recovering from the damage of Hurricane Sandy? New Jersey' Clean Energy Program is here to help with temporary financial incentives that will help you recover. Please note this offer ended for residents on July 31, 2016. If your home is located in a zip code designated as a "major" or "minor" damaged area impacted by Hurricane Sandy, you may be eligible for enhanced incentives on high efficiency equipment/appliances. If you are located outside the eligible zip code list, you may also qualify for increased incentives by demonstrating that you have experienced damage caused by Hurricane Sandy. Applications for Hurricane Sandy relief incentives outside the eligible zip code list will be reviewed on a case by case basis. Frequently asked questions are also available to help clarify what is available. 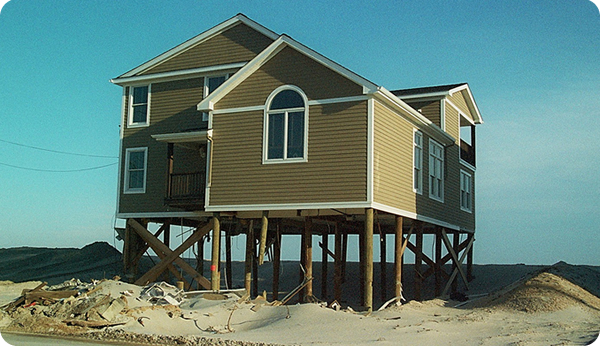 In order to receive an enhanced Hurricane Sandy relief incentive, a Homeowner Certification Form must be completed and attached to the proper rebate application. The links below will take you to the page where the applications are located. IMPORTANT: If you have already submitted an application, you only need to submit a Homeowner Certification Form. However, new submissions require both an application (links below) AND a Homeowner Certification Form. In addition to existing rebates, an additional $200 will be applied for those submitting a Homeowner Certification Form along with the original rebate application. Incentives may also be available from your gas utility (check with your utility for more information). Incentives available for businesses ended on July 1, 2015.. Questions? Call us at 866-NJSMART (866-657-6278). Call us at 866-NJSMART for information on these and other energy-saving programs for your home or business.